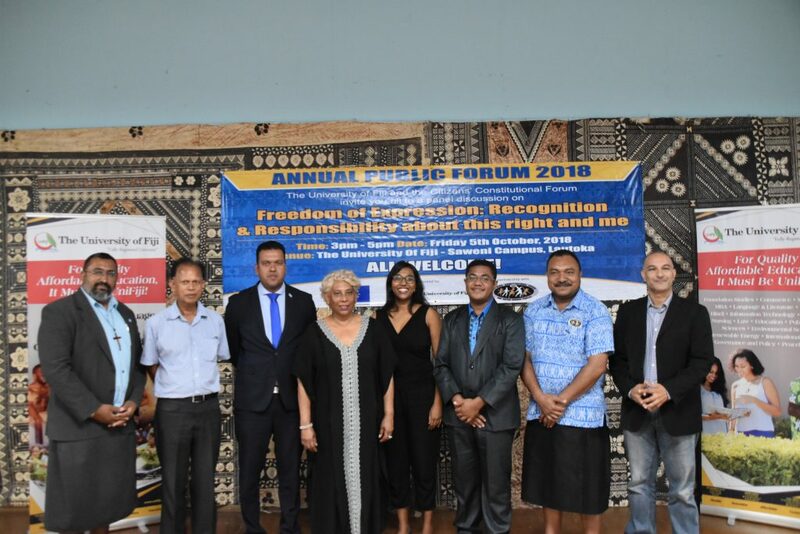 The Citizens’s Constitutional Forum recently held an annual public forum to discuss and inform the general public of the different perspectives of freedom of expression in Fiji. 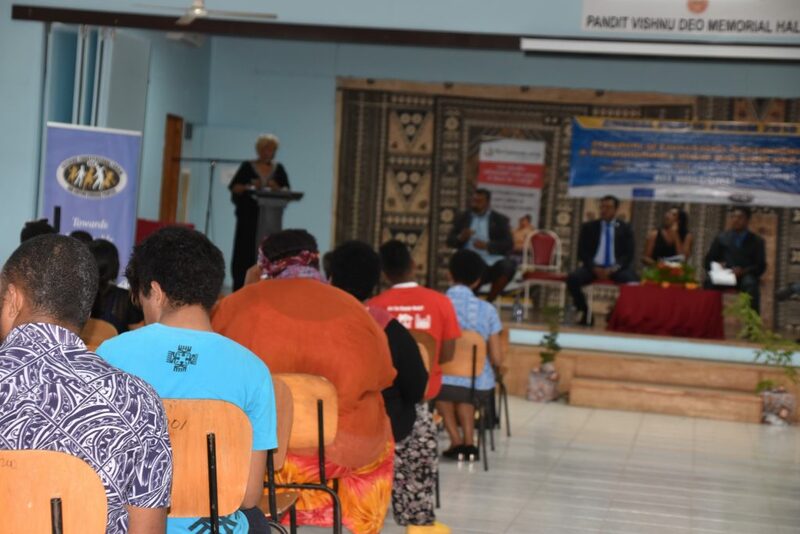 The event was hosted by The University of Fiji School of Law in partnership with the Citizens’ Constitutional Forum (CCF) in Lautoka. This right recognizes the freedom to share ideas, views and information. It contributes to an informed society enabling citizens to form their own opinions on issues that concern them at the local and national levels. Representatives from academia, civil society and policy makers discussed the theme “Freedom of Expression: Recognition and responsibility about this right and me”. 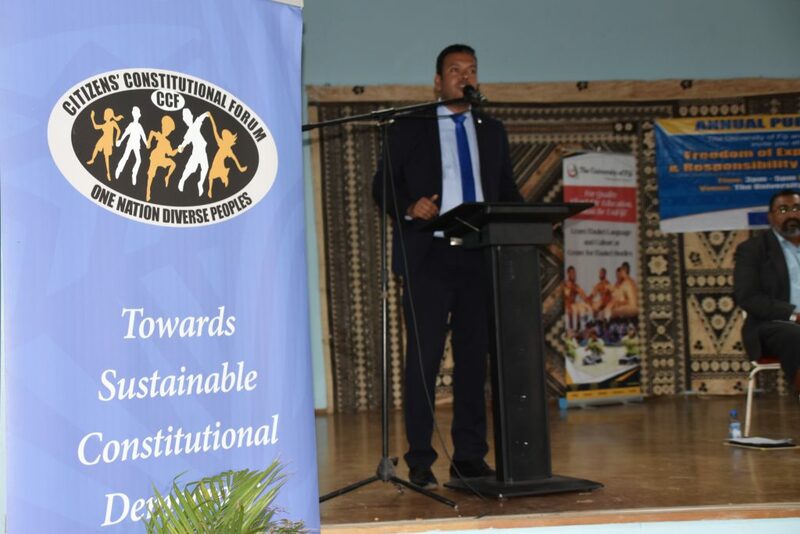 Chief Executive Officer of the CCF, Mr Sara Bulutani said Freedom of Expression is a fundamental right that is clearly stipulated by the 2013 Fiji Constitution. “I believe the protection and fulfillment of our rights will rest entirely on our leaders and our role is to advocate and hold our leaders to account by demanding for our rights,” Bulutani said. This right encourages public debate and transparency on how public offices are run. Section 17 of the Bill of Rights in the 2013 Fiji Constitution recognizes everyone having freedom of speech, expression, thought, opinion and publication which includes seeking, receiving and imparting information, knowledge and ideas on academic freedom as well as scientific research. It pertains to the right to communicate political messages to anyone willing to receive them. 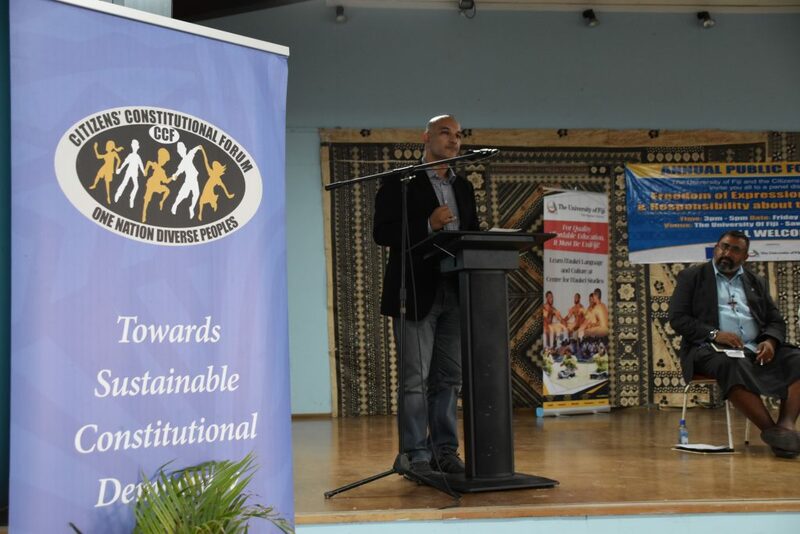 Human Rights Lawyer, Aman Ravindra Singh, who was a panelist during the forum believes there should be more events of this nature being done in Fiji. “Freedom of Expression is an integral part of a democratic society and it’s wonderful and fantastic to see CCF bringing out this issue and organising a public forum with the panelists and members of the public to participate openly and freely”. “This is an issue that we need to address on a regular basis in Fiji because currently we are experiencing issues where by our fundamental freedoms including freedom of expression being suppressed”, said Mr Singh. Member of Parliament, Hon Ashneel Sudhakar who was also present as a panelist said the theme presented during the forum was an important theme. “Some people are under the impression that the freedom of expression is absolute and that there shouldn’t be any restrictions”, said Sudhakar. “Laws are made to protect everybody and to maintain stability and order. There has to be laws not only to enhance your freedom of expression, but also protect other people from expressions that may damage peace,” concluded Sudhaka. Youth leader and president of the University of Fiji student association, Salosi Dawai also indicated that more events like this needs to be done with this right being discussed. He said these forums will allow people to express their opinions. “The forum has motivated me as a youth leader to think of avenues in getting our message across to the relevant authorities”, said the law student. 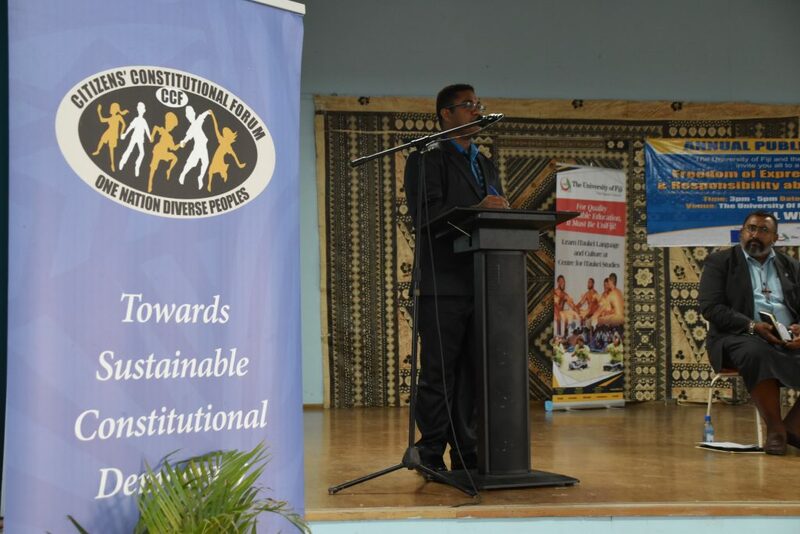 The forum is part of CCF’s “Fiji in Transition: Towards a Sustainable Constitutional Democracy” project funded by the European Union (EU). The project focuses on strengthening a participatory and inclusive constitutional democracy in Fiji through empowering citizens.